L&W Heating & Plumbing Ltd, an awarding winning accredited family run company with over 20 years’ experience. Our Gas Fire needed a service and thorough clean. The engineer did a very thorough job and cleaned and tested everything - going further than I remember the last company who did it. I couldn't fault the quality of service or professionalism of the staff. We used L&W heating to refurbish the bathroom in our rental property. They also provided a plasterer for two other rooms, electrician, tiler and plumber. From the first they were efficient and fair in their original estimate, met all appointment times and started the work on time. All of the workers were clean, efficient and produced work of an excellent quality. Even after the major jobs they were quick to attend a leaking radiator which once again was dealt with in double quick time. We have been most impressed with all aspects of the work and felt that the price charged was extremely fair. We would have no hesitation in both using and recommending them to anyone in the future. The girls (April and Chelsea) in the office were friendly and efficient and dealt with enquiries and issues with ease. Absolutely great! Fantastic service, the best place by far for a new boiler. Very polite workers, also cleaned up really well. Will use again for other work in my home. When moving into my new home I had to have a new boiler fitted. L&W gave me plenty of advice and options of the different reviews that I could go down and made sure I was kept upto speed all the way upto the installation. They were able to install on a Saturday which helped me and though it took the whole day they did a very thorough job and all there work was very neat and tidy at the end. I would recommend L&W to anyone. We needed a dishwasher fitted that was far from the kitchen sink, he arrived on time, he started work straight away and did a fantastic job fitting it in as he had to go through a supporting wall. He brought his own hoover and brush, and cleaned up throughout the job. He also made sure that the dishwasher did not leak before he left and he also took the packaging with him. I would recommend this company, customer service was brilliant, so was the cost and also we cannot fault his work. Would use this company again. 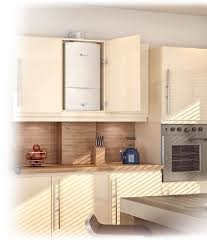 I am so pleased i choose this firm for my new boiler, The work was first class with amazing attention to detail, they left my house cleaner than they found it, removed all rubbish and explained in detail what they had done and how the new equipment worked. Thanks again L&W. Great service. Did exactly what they said they would. Prompt and clean. Thank you. Friendly, professional service. Very polite & left no mess. Excellent service.